Know the time (kairos – opportunity/season, not chronos). We are to know the season and its opportunity in which we live in. Note “State of the Planet: Better than Ever” by Stephen Moore (May 2015). 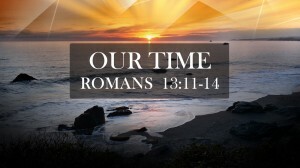 By God’s design, we livedistinctly between this present age and the eternal kingdom of God. We live in this world, but we are not of the world. We live in the present, but we also live in the eternal. We live in a world that is dark, but we are citizens of the kingdom of light. The time is fulfilled(kairos) – It was the beginning of a new era; it was time for decision and time for action concerning the eternal kingdom of God. The kingdom of God is at hand – Jesus was about to usher in God’s kingdom. Repent and believe in the gospel – Repent means to change the way you think. The word for believe means to have faith. [God] has delivered us from the domain of darkness and transferred us to the kingdom of his beloved Son. (Colossians 1:13 ESV) Living in the kingdom of light means that we are living as an expression of light while we live in the age of darkness. A person with the wrong understanding of life with Christ Jesus will be dualistic. Attempting to live both in the present age and the kingdom of light. Light and dark cannot cohabit. Views life in components—spiritual and physical, the sacred and secular. Sees Jesus as being enthroned in heaven, but somewhat distant from daily life. Claims to know Christ, but disregards his Spirit who lives within the bodies of his true followers. Willfully sins, making the argument that God is filled with love, mercy and grace and will forgive the sin. Makes confession for sin sometime later and chooses to live in the cycle of repetitive sin. 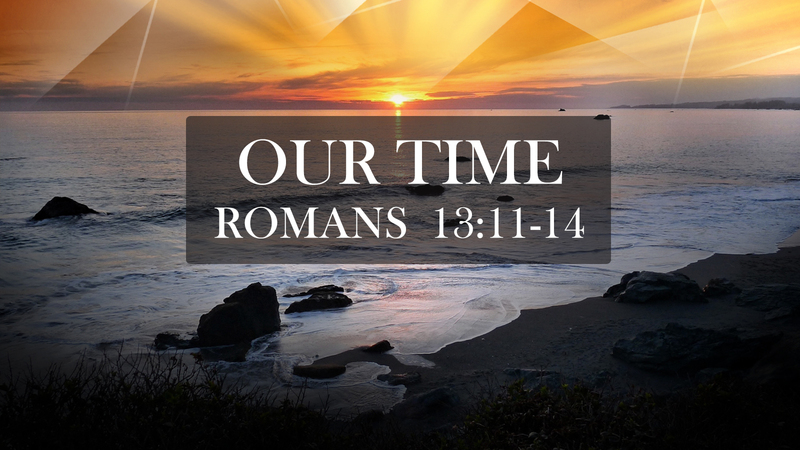 There is no part of this unbiblical pattern of life that coincides with Romans 13:11-14. A person with a biblical worldview believes and lives very differently. Lives in the kingdom of light while residing in this present age/world. Believes that every moment of every day is a sacred moment. Knows that Christ Jesus in enthroned in heaven, but that his Spirit is alive and indwelling. Understands that the Spirit of Christ experiences what he/she experiences, so they make no provision for the flesh, to gratify its desires. Is grieved over sin because he/she knows that the Holy Spirit is grieved. Makes confession quickly and repents (changing the way he/she thinks about the sin and walks differently).